Wet heavy duty scrubbing pad! This green 6.5 inch, heavy-duty wet scrubbing pad will remove the toughest scuff marks from your floors. 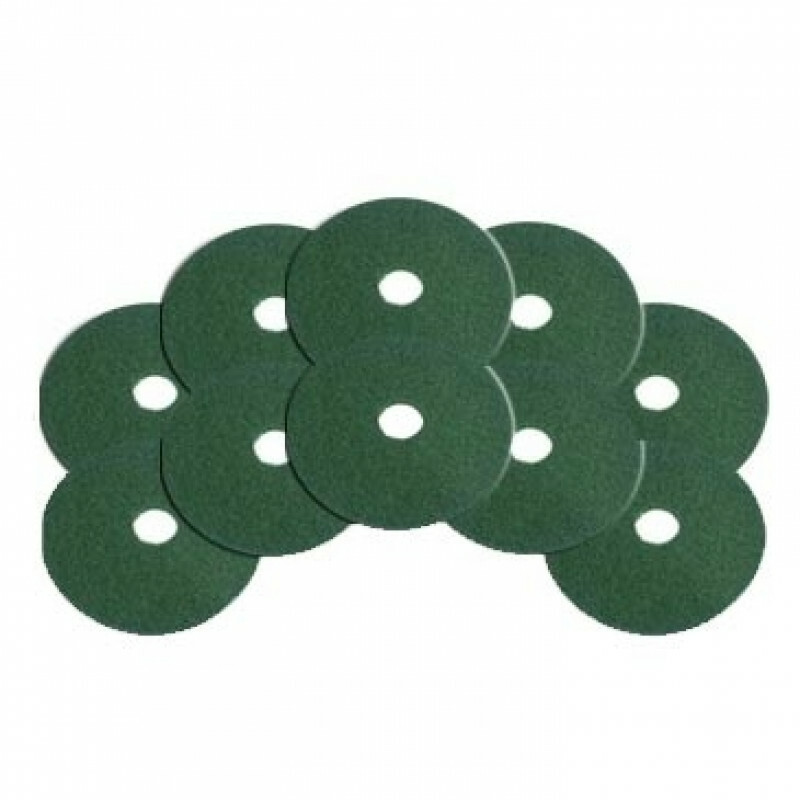 These pads will help you to clean right up to the baseboard, when used with our baseboard scrubbing edgers. Take a look at our complete line of floor scrubbing pads for other options. Customers who were interested in the 6.5" Green Heavy Duty Baseboard & Floor Scrub Pads - Case of 10 were also interested in the following items. This is a review for the 6.5" Green Heavy Duty Baseboard & Floor Scrub Pads - Case of 10.